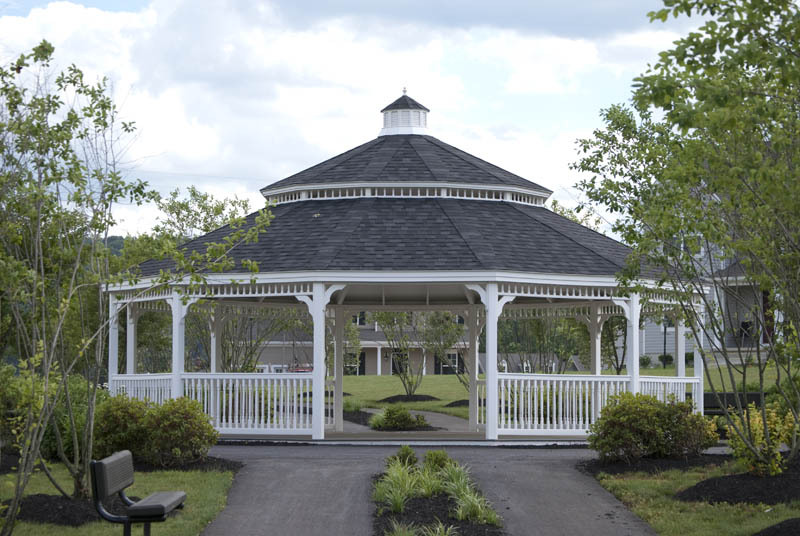 Gazebos grace village greens, the backyards of country farmhouses, and the gardens of grand estates from coast to coast. 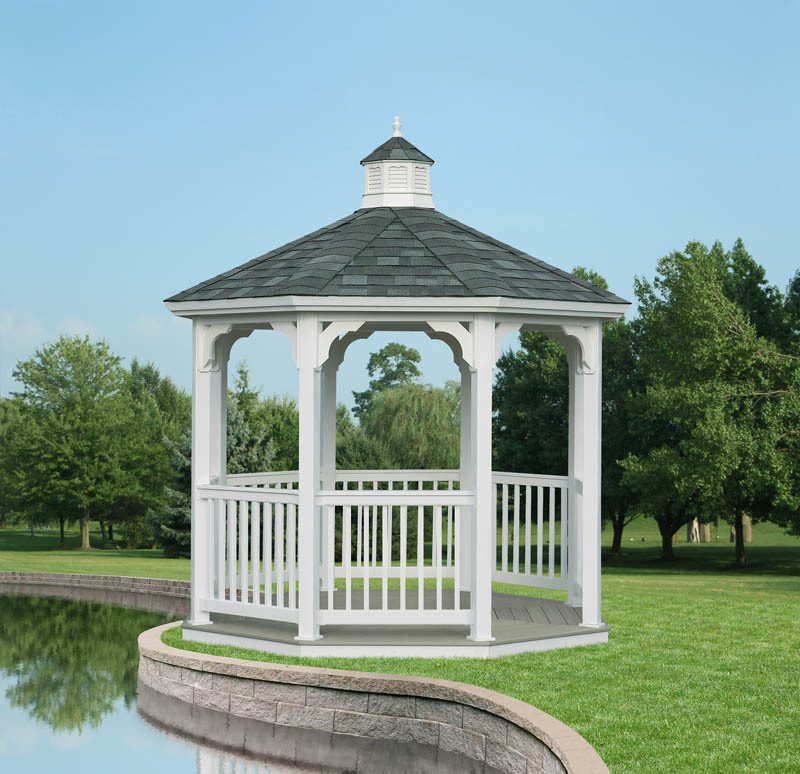 They are a timeless reminder of a simpler time - an era when we enjoyed the pleasures of the outdoors more and worried a lot less. 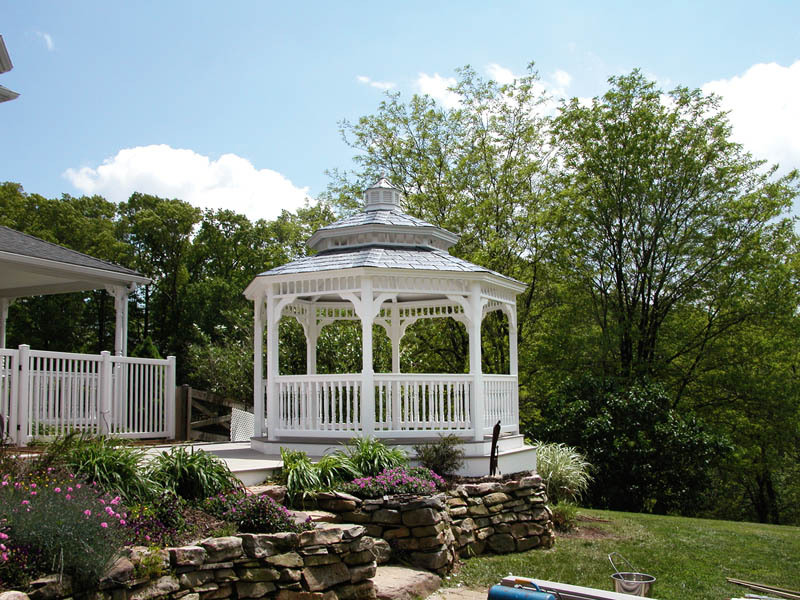 We understand that a gazebo is more than a piece of elegant outdoor decor that enhances your landscape. 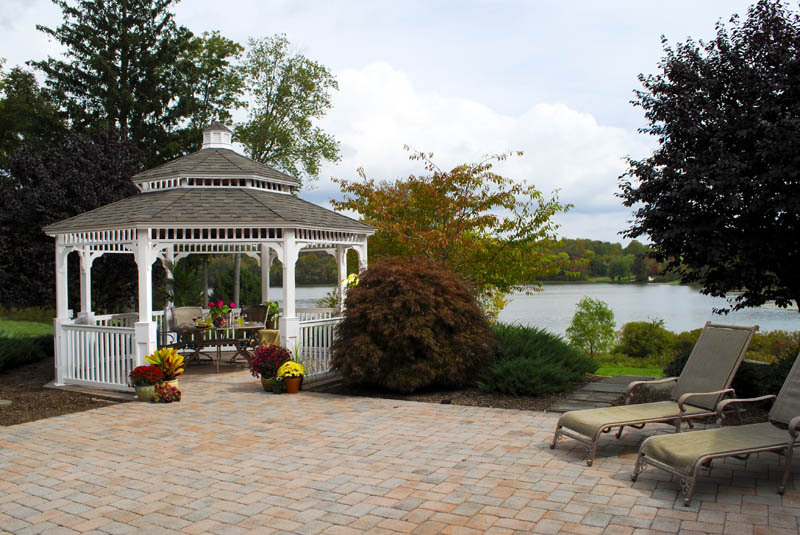 It offers an opportunity to experience the joys and wonders of nature. 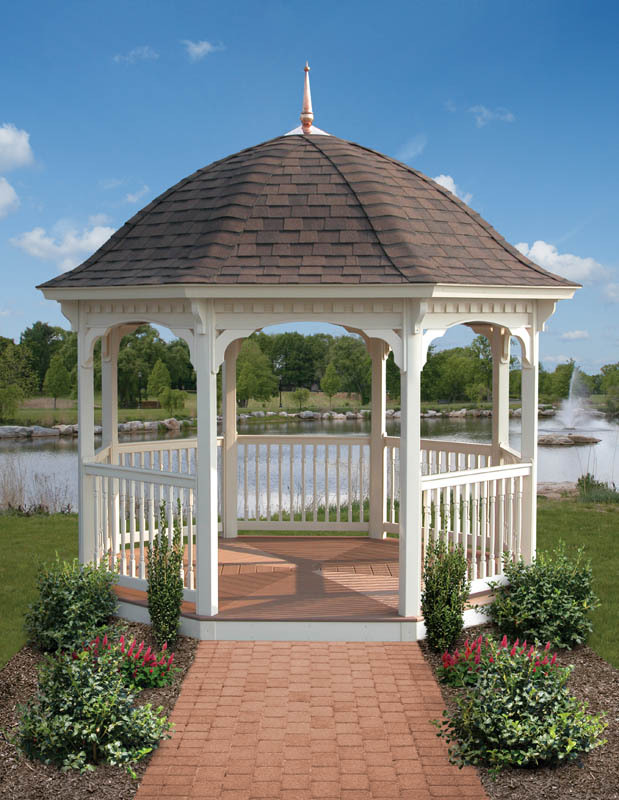 Whether you choose from our elegant outdoor gazebos, patio gazebos or garden gazebos, we're sure you'll find the right one for your lifestyle and landscape. 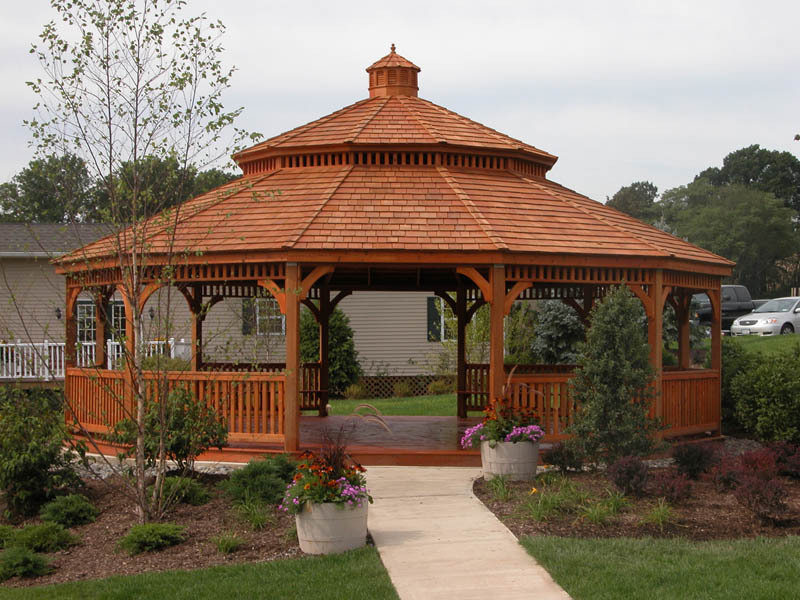 Stop by today and browse our selection. 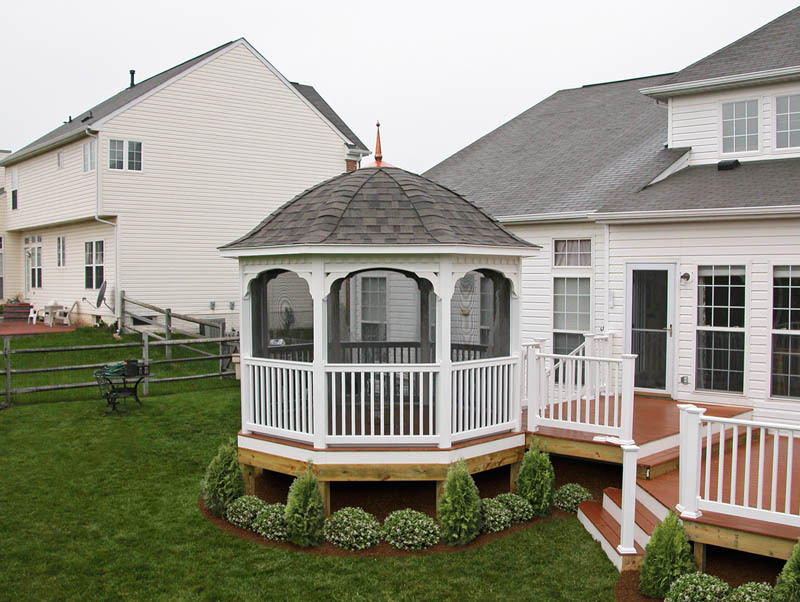 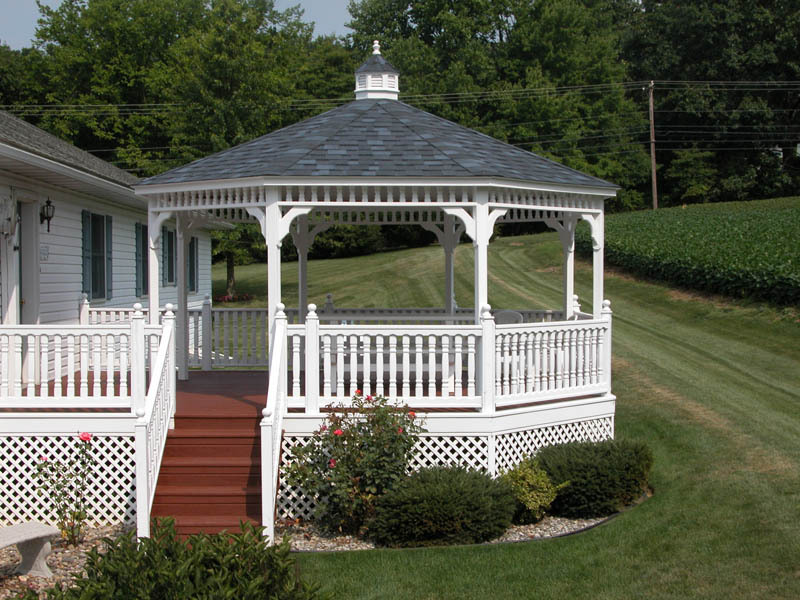 The gazebos pictured below are examples of the gazebo you could enjoy in your backyard. 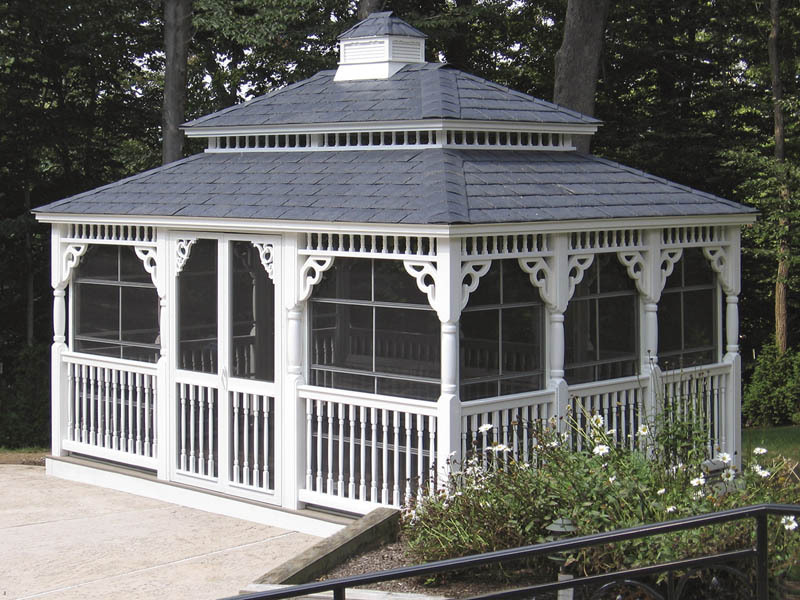 Visit our manufacturers website for a full line of Vinyl Gazebos and Wooden Gazebos.